You need to add this to your food prep list. I love my mason jar salads; most weeks they are a usual part of my food prep routine. I talk about food prep a lot because I've seen what a difference it can make in a person's ability to make their health goals a reality. I don't mean what you're prepping for dinner tonight, I'm talking about what you can prep ahead of time to make your entire week full of healthy food choices. I've always hated making salads in advance and storing them in plastic-ware (or even "traditional" glassware). You spend all this time washing and cutting up vegetables, just to find a salad with wilted lettuce and mushy cucumbers a couple days later. They usually don't last more than 1-2 days before they start to loose their crunch. I try to avoid plastic as much as possible (both for my health and the environment). Mismatched lids and containers are a nightmare. Dressing! You always have to pack it separate, I either forget it or it makes a mess somehow. They keep the veggies fresh for 2-5 days, seriously fresh. They are glass, better for you and the environment. They are all the same size with the same lids! Easy to organize and to grab in a hurry. They fit well in a lunch box or cooler. Dressing is already there, without making things soggy; actually making your salad even tastier. I use the large 32 ounce jars, but you could also use the smaller variety. The 32oz provide a large salad, the smaller ones would be better for a side salad. -Place all your ingredients in separate bowls out on the counter or table. -Make sure your mason jars are clean and dry. -Take moment to look at the large amount of color you're getting in your diet this week! -You will start by pouring the dressing in FIRST. I usually add more than I would to a fresh salad; your meat and veggies are going to soak some up! My guess is about an "inch" worth of dressing if you're looking at your jar. -I found purple mason jars last week and am loving them! -It's time to add all your goodies, the ORDER is very important. -Meat or protein goes in first (except hard boiled eggs), followed by your crunchiest veggie. These are going to marinate in the dressing, I find that broccoli, celery and carrots work well. -You want to make sure that they fill almost half your jar, this will prevent the dressing from leaking on to the lettuce too soon. -After your protein and crunchy veggies you can add some "not so crunchy" items, like cucumbers, cherry tomatoes or peas. -DO NOT SHAKE or stir your jar, you don't want the dressing getting on these other items. -Add the leafy greens. I try to fit as much as possible in mine, usually I smash down the greens a little to do this. -If you're using a hard boiled egg you could leave room at the top and place it on the greens, or pack it separately. You will just peel it and put it on your salad when you are ready to consume it. -Place lids on tightly and keep in fridge until you are ready to eat! -Pack in your lunch for work or enjoy at home! -Simply pour out onto a plate and everything will fall into place. If you're in a hurry you could just shake up the jar well and eat right from it, although I recommend putting in on a plate or in a bowl. Below are some other pictures from various food prep sessions. I use these salads to get rid of whatever veggies are in my fridge! Cheers to food prep! Let me know what you think! Elderberry Syrup. A winter staple. What are some of your winter staples? Things you keep around the house in anticipation of colds, runny noses and sore throats? One of mine is Elderberry syrup. You can easily purchase this at your local health food store, or make your own. Making your own is MUCH more beneficial and super cost effective. You will have the added benefits of medicinal spices and local honey when you make this yourself! Elderberry syrup is high in vitamin C and other immune supporting nutrients. Depending on what you add to yours, it could become a nutrient powerhouse. I tend to load mine up! I use turmeric, the yellow spice that gives curry its yellow color. This yellow root is loaded with nutrients and anti-inflammatory capabilities. I also add ginger, which is another nutrient dense root that is forgotten sometimes. I've worked at a health food store for over 15 years and elderberry syrup has ALWAYS been a best seller. Making my own is IDEAL. I get to add the spices I mentioned above, in addition to local honey. Local honey contains local pollen properties that can also support your immune system. I use it as a preventative at my house, but you could also just break it out when you felt you were coming down with something. Bring water, elderberries and spices (ginger, turmeric, cinnamon) to a boil in a large pan. Turn heat down and simmer for ~45 minutes, or until the liquid has reduced to half of what it was. 2. Once the mixture has reduced (or about 45 minutes), turn heat off and let set until mixture has reached room temperature. 3. Once it has reached room temperature you can strain out the elderberries. I like to use a cheesecloth and glass bowl. I squeeze all the good stuff out of the berries and then throw them into my compost container. 4. Mix the raw, local honey into the elderberry liquid. Its important that you don't do this when the liquid is hot. Heat kills some of the good stuff in the honey! 5. After you've mixed them together you can store in the refrigerator for a several months. This will last you all winter long! You can use daily for overall immune system support, I use 1/2-1 Tablespoon a day for adults or 1/2-1 teaspoon a day for children. Remember children under 1 year cannot have honey. I hear this. Every. Single. Day. How about staying on track and starting 2016 with a healthier you? Rather than digging yourself a deeper hole, why not take advantage of the season and work on your personal health goals? The holidays really are a special time of year; it’s a great time to focus on time with friends and family. Unfortunately, most of us find this season loaded with sugary foods that leave us feeling tired and full of more cravings. Coupled with the added stress, this can really be a recipe for disaster (and sickness, bloating, and weight gain). 1.Scope it out. Don’t just start loading up your plate. Check out your options and know where you want your “treat” calories to go. Keep portions realistic—no need to keep eating once you’re full. Plan on your plate being mostly protein and vegetables. If you know that your favorite sweet potato casserole is at the end of the buffet, then you can make sure you skimp on the stuffing at the beginning. 2.Plan your beverages.Keep track and know how many you are letting yourself have. Bring something you know you can drink if there won’t be anything else you like available (bottled or carbonated water). DO NOT drink the sugary beverages (and that includes juice)! Go in with a plan. 3.Don’t give up your exercise routine!If you’re short on time, split it up or add in some extras during the day. Holiday party after work? 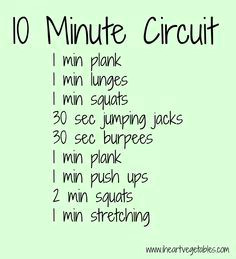 Take 15 minutes in the morning to squeeze in some squats and push ups, take another 15 at lunch for a brisk walk. Exercise increases metabolism, decreases stress hormones and reduces cravings- all MUST haves during these winter months. 4.Grab a healthy snack before you get to the party! This will help you to make more rational decisions during the festivities. When you show up starving you're much more lively to fill up on "carbage." We'll talk more about that shortly. 5.Starving when you get to the party? Load up on protein. If you made the mistake of not having your snack, fill your plate up with chicken, turkey, fish, beef, etc. Don’t fill up on high-carbohydrate foods (stuffing, potatoes, casseroles) that won’t keep you full for very long and don’t provide many nutrients. 6.Don’t chat near the snacks. Standing near the snacks and appetizers is going to increase the chances that you will eat more of them (and you know you probably shouldn’t). Keep social hour away from the cheese ball. You want to fill up on the nutrient dense stuff (turkey, meat, veggies), not the nutrient poor snack items. 7.Avoid the snacks completely if possible. These tend to be loaded with empty carbs and inflammatory oils (corn, canola, soy and “vegetable" oil). These aren't only bad news for your waist, but also for your heart, brain and joints. 8.Carry mints and gum.Want to decrease the likelihood that you will eat more cookies? Chew on some minty gum or mints. 9.Share a healthy treat you like. Bring something you know you want to eat! If you're brining a dish to share, make sure its one that you know you can enjoy in excess. 10.Make the most of the meals you ARE responsible for.If you know you and your family will not be eating the “best” over the next several weeks, make the most of the meals you serve at home. Leave the "treats" to the parties and social events, keep them OUT of your house. Keep up with your healthy habits at home and leave the holiday madness to others. 11.Don’t be afraid to say “no, thank you.” Its okay to say NO. You are doing what’s best for your health. Hosts will survive if there are cookies and cakes left over. Sorry food pushers, but no thank you. 12.Support your stress response. Magnesium or adaptogenic herbs can help promote relaxation and a feeling of calm if you are under additional stress. Adaptogenic herbs are those that can help you “adapt” to stress better. The most common are ashwagandha, ginseng and rhodiola. My favorite is rhodiola, but you should always check with your healthcare provider before starting a new regimen. Magnesium can act as a natural muscle relaxant and also promote a feeling of calm. 13.Get enough sleep! Sleep has an impact on stress hormones, cravings, and more. Aim for 7–9 hours in a dark room. Turn off your T.V. and smart phone 1-2 hours prior to bedtime if you're having trouble falling asleep. 14.Relax. Try to enjoy the holidays! You should be enjoying this time! If you're not then you have some work to do! Good luck! You can make the most of this holiday season and start off 2016 with a healthier you. You need these in your life. I love chicken tenders. I don't know why, I always have. If I'm going to eat something I know I shouldn't be eating, it's chicken tenders hands down. Of course I'm going to find a tasty way to eat them! These are SO easy! I want to say that they kind of remind me of "shake & bake" chicken, but considering I have no recollection of what that tastes like I can't say for sure. Place aluminium foil over a cookie sheet. Set your oven to 375 degrees. Place almond flour in a large bowl and mix in seasonings. Im heavy with the cayenne in this because I love them a little spicy. 3. Whisk eggs in a separate bowl to dip your chicken. 4. One by one dip each piece of chicken in the eggs and then the almond flour mixture. Place them on the cookie sheet equal distance apart. 5. Bake for ~25 minutes (at 375F) or until chicken is cooked! 6. Throw some veggies on a plate (because whats a meal without veggies) and a dipping sauce of your choice. Enjoy! These store okay in the fridge, but are best immediately after cooking. They never last long in my house, my husband is already finishing up the batch I made today. Kombucha. Why I drink it and how to make it. omeone recently asked me if they should drink "the silt-like sh*t" in the bottom of their kombucha. I thought I would take a moment to talk about why that funky stuff floating in your kombucha is so great for you, and where it came from. Let's start with fermented foods. The human race has been eating fermented foods forever. Seriously, forever. Unfortunately as convenience foods filled our pantries, fermented foods slowly have taken up less space on our plates. In fact, a lot of people may not consume any at all. Our ancestors would consume these foods several times a day, not just for the taste but for the health benefits. It's not like we have replaced these fermented gems with something better, most of us have replaced them with a bunch of carbohydrate rich garbage (carbage) loaded with preservatives and sugar. Raw sauerkraut, raw pickles, kefir, yogurt (with live cultures), miso, kimchi, lots of other vegetable ferments and kombucha. More about these later. So why should you be eating (or drinking) at least one (or more) of these foods a day? They are our first line of defense. When you hear that 70% of your immune system is in your gut, its because of the probiotics there. Supporting this community of good bacteria also supports your immune system. They are linked to a large number number of health issues, including weight management, cardiovascular disease, inflammation, and more. We know that having a healthy microbiome (your population of good bacteria) has a positive impact on most organ systems. One of my favorite things to learn about is the impact that our gut bacteria has on our brain. Yes, your gut has a large impact on cognitive health. There is a neurologist who has an entire site about this topic, check it out HERE. Fermented foods contain a large variety of microflora (those good guys), more than most supplements. We only know how to manufacturer or create some strains of good bacteria, the magic that happens through the natural fermentation process is going to give you a much larger variety on a regular basis. Fermented foods also contain "predigested" nutrients that are easy for your body to use, improving digestion and nutrient absorption. That was a quick summary of why you need ferments in your life! Basically, supporting your digestive system through consuming fermented foods (rich in probiotics) means you're also supporting brain health, your cardiovascular system, a healthy inflammatory response and your immune system. Who doesn't want that? You can find fermented foods at a grocery store or most health food stores. RAW pickles or RAW sauerkraut- they must be refrigerated ALL the time. If you're buying them off the grocery store shelf then they have been heated (pasteurization) and have no more good bacteria for you. Unfortunately heating the probiotics kills them, so you have to be careful! Bubbies is a fantastic brand that makes raw ferments! Kefir and/or Yogurt- must be labeled that it has "active cultures," or they may be listed. Kefir is my go to. If you don't have kefir in your life you need to get some. Yogurt typically has 2-4 strains of good bacteria, Kefir has 12. Yes 12. Make the change. Miso is a fermented soybean product that makes some delicious soup. Boil your water and make your soup, then add the miso to the warm water (not boiling). Remember, heating up that good bacteria can kill it. Kimchi and other raw ferments. This list could go on forever. I've seen fermented beets, carrots, ginger, etc. If you're a DIY person, start fermenting at home. Its SO cost effective and you can create some delicious things! Kombucha- my favorite. You can buy it just about anywhere now, its in the refrigerator. If you love it and find yourself buying it on a regular basis it can get costly! Prices range $3-6 a bottle! This is what led me to making my own, I actually enjoy the taste more than the store bought. Here it goes. Making some bouch...Im keeping it simple. There are a lot of ways to do this, but I have found what works for me. As always, make sure to wash your hands and prepare in a clean area. 1 SCOBY (Symbiotic 'Colony' of Bacteria and Yeast) with it's "starter fluid"
I got mine from a friend, you can find someone who makes kombucha (walk into a health food store and ask the staff) or you can order one online. It's a one time purchase, it will keep reproducing once you get going. I use beet sugar from the health food store, most sugars will work. You cannot use honey, you have to have a specific SCOBY for this (Ill show you that at the end) or maple syrup. Sugar substitutes will NOT work, the fermentation process requires actual sugar. Please read through ALL the steps before getting started! Bring 4-6 cups water almost to a boil in a large pot (if it boils thats okay, but technically it works best if the water hasn't been boiled to death). Remove from heat and add tea. I use bulk green tea because its super cost effective, I place in a muslin tea bag and reuse the bag when Im finished brewing. Let steep for ~ 10 minutes. Add the sugar, stir and dissolve. Then add the remaining water. I usually end up using a little less than a gallon. This should make the sugary tea room temperature. You never want to add hot water to the SCOBY and its original fluid. Place in a cool, dark spot. Wait 7-10 days and "taste" to see if its ready. I place a clean spoon in and get a sample, some people use a straw. You just want to be very careful not to contaminate your booch. When it's ready you want to get your smaller bottles ready and your flavor out! You should have them ready by the time the 7-10 day period is up. I save some store bought kombucha bottles and also have some that I have purchased separately. The tighter the lid, the more fizz in your end product. My favorite flavor is this grape concentrate, but I also use frozen berries a lot. You don't have to flavor, but the sugar from the flavors can create additional fermentation, creating a more "fizzy" drink. Ginger is also a great option! STEP 5. AFTER your first fermentation process of 7-10 days. This is considered your "second ferment." Wash your hands well and remove your SCOBY from your gallon vessel. Place it in a clean bowl. Take ~2 cups of the tea from the gallon vessel and add that to your SCOBY. This is your next starting batch! You will notice that your SCOBY will get bigger and eventfully create more baby SCOBYs. Cover the bowel with a towel and set aside. After flavoring and dispersing my kombucha (NEXT STEP) I usually start my next batch with this SCOBY and starter liquid. If you want to wait you can cover and keep aside in a cool, dark place until you were ready to use it. Do not refrigerate it. If you were going to "share" your SCOBY because it had "babies" then you would want to separate out more starter fluid for that person to get started. This is your viscous kombucha cycle. Place your smaller bottles on counter or in sink, a funnel works well for this part. Add your flavors, I typically use 1-3teaspoons in the smaller bottles or 1-2Tablespoons in the larger ones. If I'm using fresh/frozen fruit I just throw enough in to cover the bottom of the bottle. Add your flavor, then add your kombucha. I usually leave ~1-2 inches on the top. Seal them all tightly and place back in your dark, cool spot for another 1-3 days. I usually leave mine for 3, I like the fizz! If you use the flip top bottles you will need to "burp" them once day. They just weren't meant to handle pressure the way the store bought kombucha bottles were. Just quickly open them and close them again to relieve a little pressure. I keep mine in a box with a towel on top just incase one were to explode. Taste and put in the fridge! This stops the fermentation process and makes them cold and delicious. The odd floaty things (or as my friend called it- "the silt like sh*t") are little pieces and scrapes of the original SCOBY. They are loaded with good bacteria for your gut! Let me know how it goes! I LOVE experimenting with different flavors and combinations. Sharing your kombucha with family and friends is a great way to introduce people to fermented foods (eventually they may even want a SCOBY to make their own)! On a different note...Ive also starting making JUN kombucha, which uses a SCOBY that prefers raw honey. It tastes a little different, not necessarily better, just different. It will only ferment with raw honey, no granulated sugar. I like the concept, raw honey has some beneficial properties, but it is more costly in the long run. Either way I've got a crazy circle of kombucha brewing all the time and my gut LOVES it! Thanks for reading!